Imagine all the fun of a bicycle without the helmet hair! As my schedule gets busier and busier, fitting in that evening sweat sesh has admittedly taken a backseat. 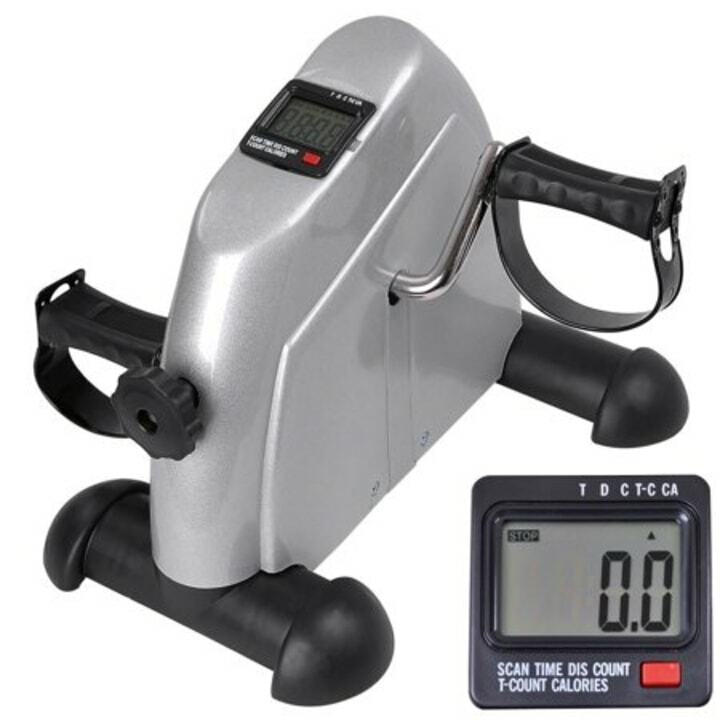 So when I heard about the Ktaxon Mini Under Desk Cycle Elliptical Trainer, it sounded like just the solution I needed! I tried the bike for the second episode of my YouTube show "The Check Out," where I try new products, and even encouraged some of my colleagues to get in on the action. I lugged the box to work and reserved a conference room to assemble the bike (although in hindsight, I probably could have done this at my desk). There weren't many parts involved and the whole process took about 10 minutes, so I was back to my seat with my new cycle in no time. On the first day using the bike, I spent most of my time trying to find the right angle to sit, while still being able to cycle and do work at the same time. It took a while, but I finally got the hang of it! The next day I set a goal to cycle for a full hour throughout the day, broken up into 30-minute intervals. Devoting a significant block of time to using the bike over the course of the day made it feel like a productive way to get my energy out and helped me get even more accustomed to the bike. I felt like I was able to enjoy all the fun of a bicycle without the helmet hair! I'm about 5 feet tall, so it wasn't too difficult for me to accommodate the up-and-down pedaling movement without hitting my desk, but I wanted to see what it would be like for my taller co-workers. I enlisted the help of fellow TODAY editor Tyler Essary to give it a try. For reference, Tyler is more than a foot taller than me, at a towering 6 feet 2 inches. He had plenty of thoughts about the bike, but his biggest takeaway was that it's not for tall people. We reached out to Ktaxon to see if the bike had any settings that allowed you to adjust for height or if there were other models built for different heights and a company representative responded saying "the height could not be adjustable." As a short person, I actually enjoyed having the bike under my desk and found that it was a useful gadget to fidget with while I worked.